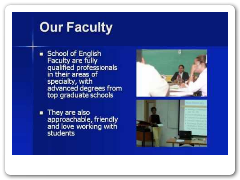 The School of English Studies offers one bachelor degree programme, a Bachelor of Arts (BA) degree in English and a minor option, Bahamian and Carribean Literature. The BA programme offers an exiciting and diverse range of courses in the study of English literature and language. The rich variety will permit travel across regions, times and cultures, from classics like Shakespeare to modern studies of African American film. The minor in Bahamian and Caribbean Literature is an opportunity for English lovers to pursue majors in other fields of study without giving up their passion for books, plays, poetry and films.